Today I was going to write a post about events that I attended this weekend or a recipe that I made. But it just didn’t seem right. 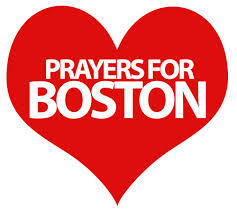 Today I am writing to send prayers and thoughts to Boston.